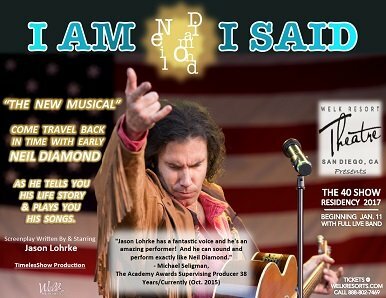 The Welk Theatre is excited to announce the opening of “I AM… Neil Diamond, I SAID” on January 11, 2017 and running weekly through the year except in July and August. Call 888-802-7469 for reservations. There are no meal options with this show, however the restaurant is open all day prior to the 7 pm evening show weekly on Wednesday’s.